Dr. Leopoldo Sánchez, Werner R. H. Krause Chair for Hispanic Ministries and director of the Center for Hispanic Studies at Concordia Seminary, St. Louis, recently spoke on “5 or More Things You Need to Know About the Global South” at the New City Music Conference, a gathering of musicians in St. Louis. As he considers some of the implications he spelled out in his article “The Global South Meets North America” (Concordia Journal, Winter 2011), he opens up ways to move beyond seemingly impassable “Anglo” categories of community, mission (e.g., churched culture vs post-Christian), worship and music (e.g., old v. new, traditional v. contemporary, liturgical v. praise, etc, etc). We present his thoughts here for your viewing pleasure. UPDATE: We have experienced some difficulties with the video embedded above. If for some reason you cannot view it, the video can also be found here. Thanks for the blog post. I’m actually sitting here in Toronto Ontario Canada with about 100 United Church ministers. We came across your blog post…Tonight we’ve been talking about how to use social media in our churches and we can see that you’ve used it very effectively… I like the reference that you make to music because I used to be a professional musician and I just thought we’d stop and make a few comments. Thank you for the opportunity to do so. Have a great day. Kudos go to the New City Music Conference people in St. Louis for this particular use of media. 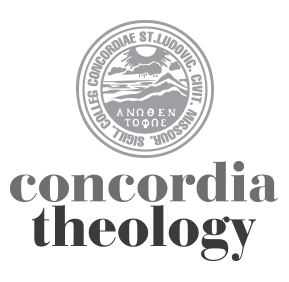 Feel free to browse Concordia Seminary’s iTunesU page when you get a chance. This is also a fine use of media for educational purposes. Leo, truly appreciated all your points that you have made in your presentation. I’m so glad to hear from you “Global South Reality and Its Implications” which are very helpful not only for the musicians. Lately, this theme has been a hot topic among all church planters and missionaries. I liked your question on “Post-Christianity” to what? It makes a lot sense to me. Also, “mestizaje” metaphor was very helpful to understand the diversity of the Latino culture and what this means to those who deal with Latino/Hispanic culture specific ministry. Excellent presentation! I really enjoyed it and gained a few new insights for my coaching/supervising role of multi-ethnic church planters and missionary leaders that most of them are from Global South. Thanks for your comments. A couple of my own: 1. There is no doubt that we must look at post-Christian paradigms because they are representative of at least part of the population. The picture of Islam cannot be avoided either. However, I do think we are missing the Global South picture. In my presentation, I tend to deal with some relatively positive cultural dimensions of Global South Christians. There are also some that could be somewhat problematic. For example, Global South Christianity is also seen as “Charismatic”. Is this good for Lutherans? How is that evangelical? How do we bring a Lutheran understanding of the Spirit to this picture? How would that affect worship? There is definitely some work to be done here. 2. I find the category of mestizaje helpful to problematize a little bit the purist paradigm in the arts. For example, a quick review of a venerable genre such as medieval organum music quickly reveals that some forms of church polyphony actually made it impossible to understand the text. Too many melismas (i.e., too many notes to a single syllable-word) would get in the way of understanding the message being sung. Some Popes picked up on this. But not to blame it all on polyphony…the same could be said of earlier long melismatic plainchants (popularly known as Gregorian Chant), although these were often reserved for the shorter parts of the Mass such as the Alleluia. Eventually some forms of polyphony, of increasing use in late medieval culture, were adopted in the Ordinary of the Mass during special feast days. Which is to say that the church adapts over time what she considers pure, inevitably engaging culture while asking what forms of music best communicate the text to the hearer. Allow me a little heresy here, but one could argue that even J.S. Bach’s music can at times get too fancy for understanding what’s going on. Not surprisingly, the so-called classical period in music looks suspiciously on the Barroque musicians for embellishing too much. We should do this exercise more often in the church, re-evaluating what we consider pure in light of both the communication of the text as well as its reception by the hearers of a particular culture. Working in the city, among ethnic groups, requires this kind of undertaking. To me, this is more helpful than traditional vs. contemporary language thrown around in church circles today. I was the Conference Director for the New City Music Conference. It was such a pleasure and a privilege to have Dr. Sanchez involved by giving this talk as well as sharing some tips on Latin American and Spanish Caribbean music styles. This talk confronted us with both the reality of the changing culture of the church as well as some positive steps which could be applied specifically to Latin American cultures or generally to the process of becoming intentionally cross-cultural for the sake of the gospel. It’s especially challenging to think of global south Christians as being on the fringe of society (the Galileans). So many conversations about the church take place within the limited sphere of the dominant culture without inviting the cultures that are on the fringe to participate, contribute, and even take the lead on some issues. As a musician, I can hear conversations that that talk about music (and liturgy) as if there’s only two kinds out there. The future of church music is going to be a lot more diverse and glorious than many musicians (and pastors) are prepared for. Thanks again, Leo!